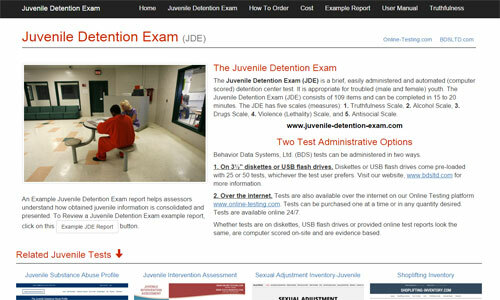 The Juvenile Substance Abuse Profile (JSAP) is a brief, easily administered and computer scored test specifically designed for assessing juvenile substance (alcohol and drug) abuse. JSAP consists of 116 items and takes 10 to 20 minutes to complete. Reports are scored and printed within 2 ½ minutes of data (answers) entry. 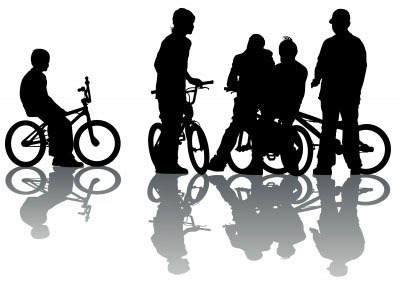 Juvenile Substance Abuse Profile (JSAP) is much more than just another alcohol or drug test. In addition to assessing alcohol and drug use, JSAP measures the truthfulness of the youth being tested, quantifies aggressiveness and determines how well the youth manages (copes with) stress. 1. 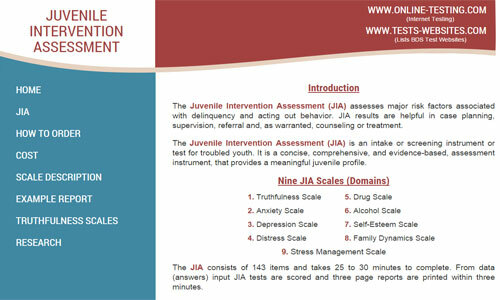 Truthfulness Scale: Determines how open and truthful the juvenile was while completing the test. 3. Drug Scale: Measures prescription and non-prescription drug use and abuse. 4. Aggressiveness Scale: Measures how outgoing, bold and self-assertive the juvenile is. 5. Stress Coping (Management) Scale: Determines how well the troubled youth handles stress or pressure. 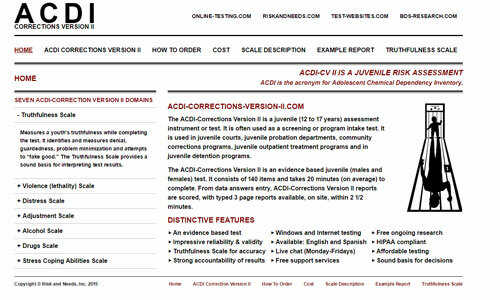 The Juvenile Substance Abuse Profile (JSAP) is designed for troubled youth (male and female) assessment in juvenile screening programs, juvenile court-related settings, probation departments, outpatient intake and counseling settings. JSAP measures the truthfulness of the youth being tested, quantifies aggressiveness and evaluates how well the youth handles stress.